Buy this item and earn 1,373 ClubPoints. 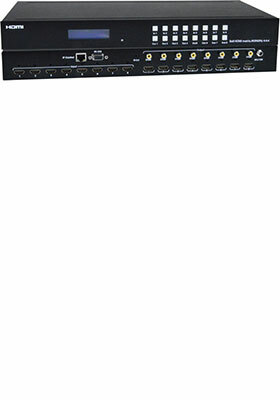 VEEMUX® low-cost 4K HDMI matrix switch routes digital 4Kx2K HDMI video and audio signals from up to eight HDMI video sources (computers, Blu-Ray players, satellite receivers, etc.) 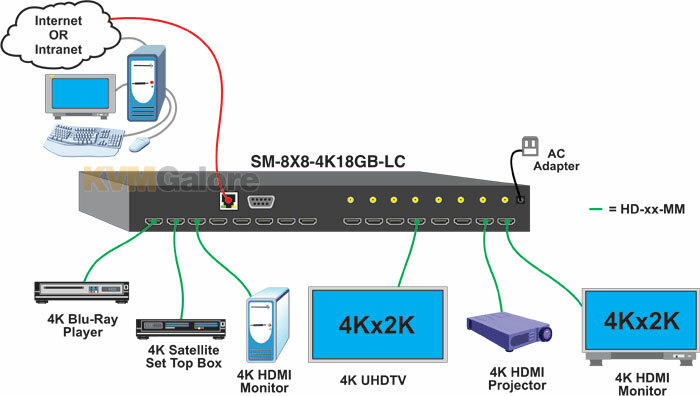 to up to eight displays (monitors, 4K TVs, projectors, etc. ).